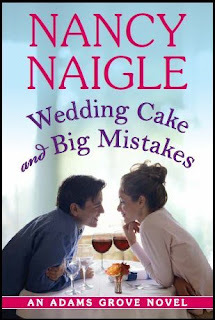 Over the first two books, I have grown to love the inhabitants of Adams Grove, VA, so I was excited to read Nancy Naigle's third Adams Grove book, Wedding Cake and Big Mistakes. In this installment, Carolanne Baxter and Connor Buckham are law partners and long time friends. As their best friends, Garrett and Jill (remember them from the first book, Sweet Tea and Secrets?) are getting married, murder breaks out in the town and Carolanne's father is implicated, putting Carolanne and Connor at odds. Once again, Nancy has taken us to the small town of Adams Grove,where everyone knows each other and their secrets....at least they think they do. I love spending time in this little town. Nancy's writing style is wonderfully warm, just like the town and it's inhabitants. Her books always make me feel as if I am living in Adam's Grove with the characters. The people in the town are just the way I would imagine a small town populace to be. You have your town busybodies, some with quite quirky personalities, the predictable and the unpredictable, but below it all is a common thread in their lives that allows them to really care for each other. My favorite thing about this series is the way that Nancy makes me feel about he characters in the stories. As in the past books, I found the characters in this one easy to become involved with and easy to love or hate, trust or mistrust, as was required. The other thing that is great about these books is that they are such relaxing reads. Here there are not convoluted plots that take a lot of brain power to figure out, or follow, for that matter. What you see is what you get, and that is a nice, easy love story with a little bit of intrigue thrown in and a lot of Southern charm. The what is pretty easy to figure out and follow, and there is just enough blurring of the why to make it interesting. I find these books delightfully refreshing and a great break from some of the more complex books that I might read. Although I am usually a stickler for reading a series in order, Nancy has made it easy to pick up these books and read them in any order. In fact, I would probably be more accurate to refer to them as books whose characters are linked, rather than an actual series of books. 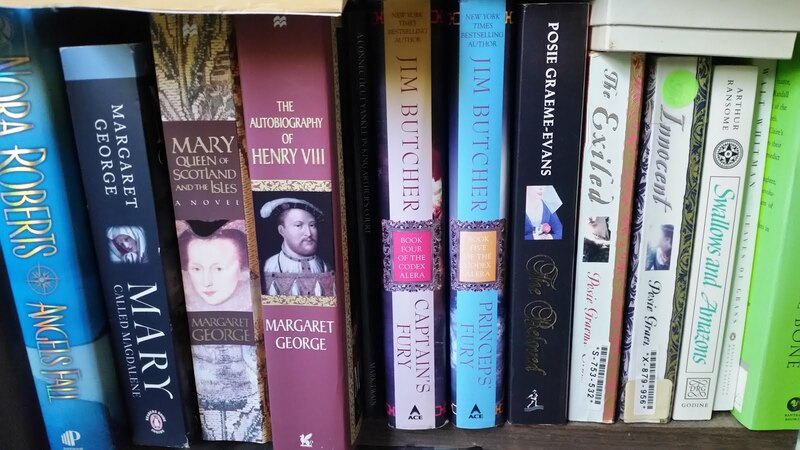 In fact, in looking the books up on several sites, there is some confusion as to how the books are related. On some lists Wedding Cakes and Big Mistakes is listed as the second book in the series, on others it is listed as the third, and on still others it is listed simply as "An Adams Grove Novel". I would go with the last descriptions. Whichever way is correct, I would recommend all three of the novels currently published and am looking forward to the next one, Pecan Pie and Deadly Lies.